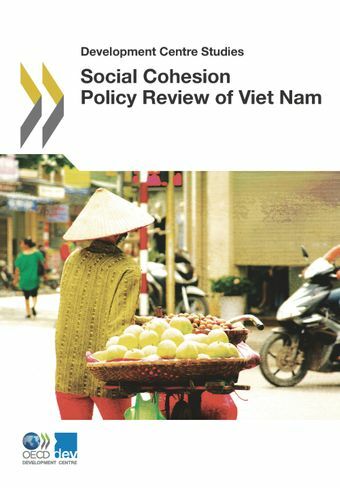 This report examines the effects of recent economic growth in Viet Nam on social cohesion. It finds that recent rapid economic growth in Viet Nam has not resulted in an increase in overall inequality, but the level of inequality was already high. Growth was not particularly inclusive, benefiting most the middle class and the richest households, and favouring less households in the bottom 20th percentile. Income mobility was also high, and while a majority of households experienced upward income mobility, downward absolute income mobility affected one in five households. Economic growth was not particularly job rich with employment growth lagging behind economic expansion.In particular, important challenges were identified in the area of education and skills policies relating to fast-changing labour market needs. Minimum wage policies had a small but positive effect on employment, but concerns were highlighted over partial coverage and weak compliance. Tax policy and specifically personal income tax had only a small impact on reducing inequality, but transfers from central to local governments produced an equalising effect, albeit with mixed results in terms of satisfaction with public services. Finally, social protection systems have been extended, but important coverage gaps remain among the poor and ethnic minority groups, and informality remains a key challenge for universal extension. "Fast growth has contributed to an impressive reduction in poverty but much remains to be done to preserve social cohesion in Viet Nam, says OECD Development Centre"